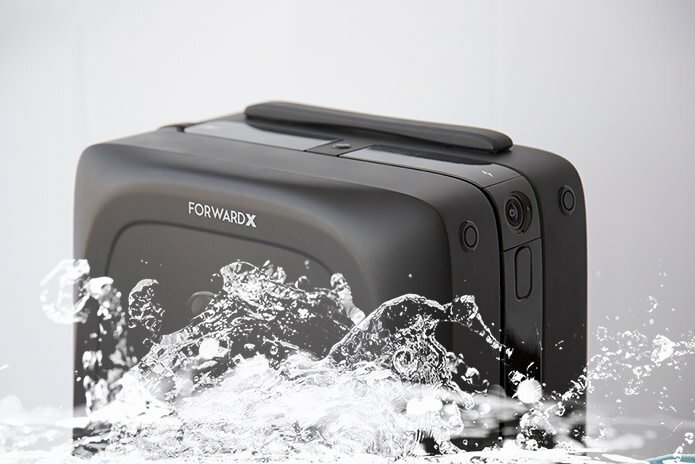 In an aim of pushing the envelope to enhance the lives of people and open up to more possibilities by heralding the next generation of AI robotics, ForwardX, a Beijing based company has recently presented a new product Ovis. 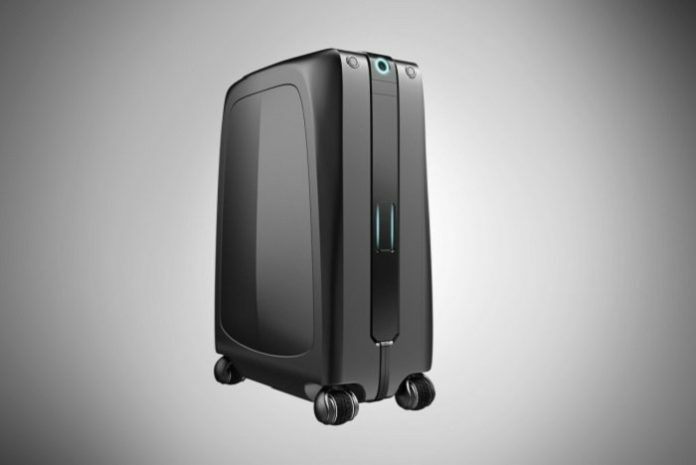 Ovis is a new generation smart luggage that follows you wherever you go. 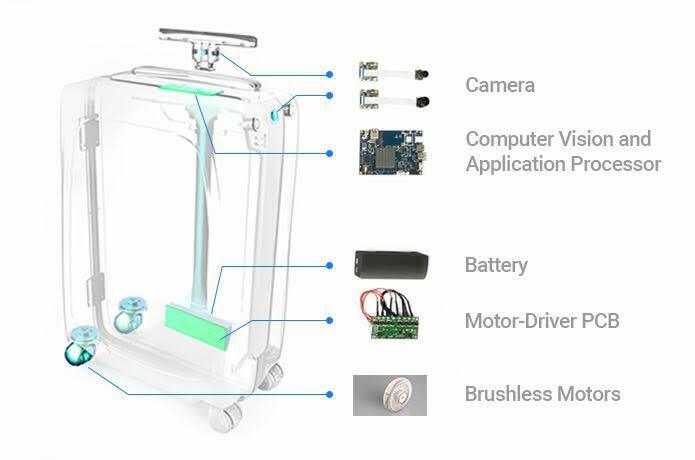 Equipped with computer vision technology, Ovis is the world’s first vision-powered carry-on that cannot only follow you from behind but can also move autonomously by your side, company representatives claim. 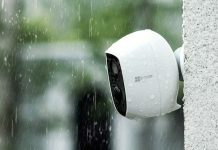 It integrates groundbreaking proprietary computer vision technology, Visual Simultaneous Location And Mapping (VSLAM), and artificial neural network algorithms developed by ForwardX. Via its complex algorithms, this AI-powered suitcase can not only “see” as we do, but also identify what it is seeing. Ovis’ side-follow technology is far more advanced then rear following because of the requirement of prediction algorithms. 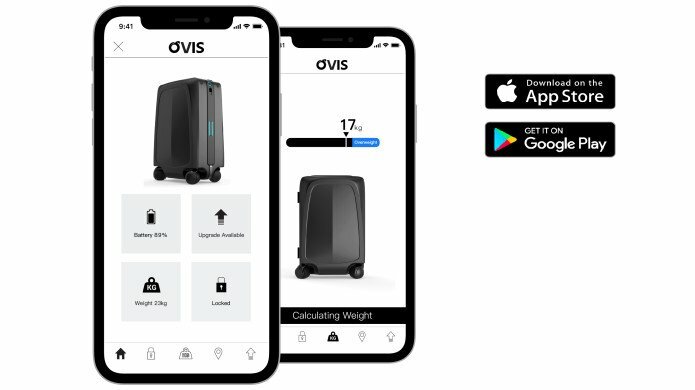 With these state of the art algorithms, Ovis is able to easily stay by your side at all times so you don’t have to be constantly looking over your shoulder just to see your luggage. Its computer vision technology allowing the computer to gain a high-level understanding of digital images or videos so that the computer can “see” as what the human’s visual system can do. Its obstacle avoidance technology works the same as the self-driving technology. 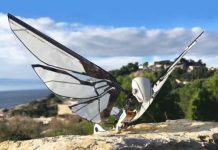 The technology helps Ovis to precisely sense and assess the environment, calculate the distance, and estimate the direction and route to avoid potential obstacles, with a deviation precision of +/- 1cm. It is also able to know how much your luggage weighs at any point so you never have to worry about being overweight for your carry-on. With its large interior volume of 34L, it can easily hold enough items for a whole week trip. 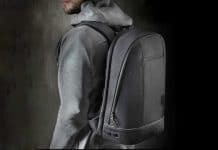 With durable yet lightweight material, Ovis makes your travel lite and smart. 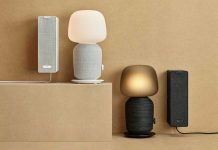 Ovis material is made of carbon fiber, that offers greatest efficiency and performance with the premium material that is both durable and lightweight. Clocking in at a speed of 3m/s (6.7 mph), Ovis’ revolutionary rear-wheel drive operates quieter and more swift than traditional wheels. In other words, this groundbreaking ‘seeing’ suitcase is the ultimate carry-on sidekick. The Ovis energy is based on Lithium-ion battery with 96Wh power. One additional fascinating feature that it can charge any and all of your devices on the go. Free yourself from searching for outlets at the airport! With Ovis, you will always be prepared for your social media updates, your favorite TV show and your last bit of work before boarding. We are always in constant worry with many “hands-free” devices get lost at any point, even though the system says it is steal-proof. With Ovis, this isn’t a worry due to the Anti-Lost Smart Band. 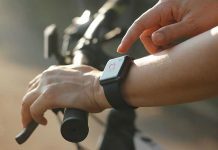 The smart band will vibrate the second that your Ovis is more than 2 meters away from you. 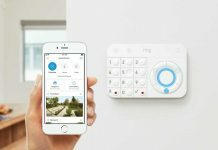 It also alerts the owner when the battery of Ovis is running low or when Ovis is experiencing other problems that might need tech support from us. Fear of losing your luggage at the airport? Ovis get you covered. 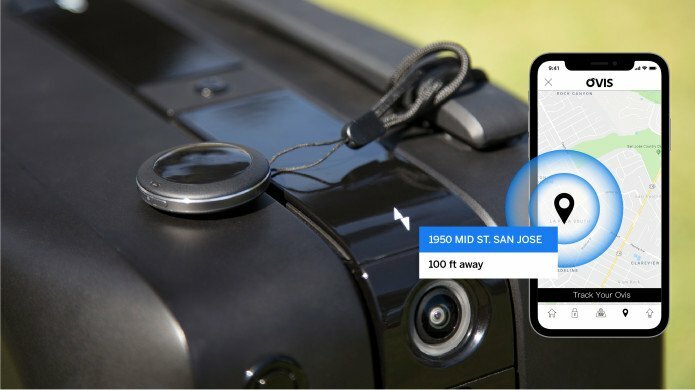 The constant GPS tracking module ensures that you will never lose track of your luggage again. 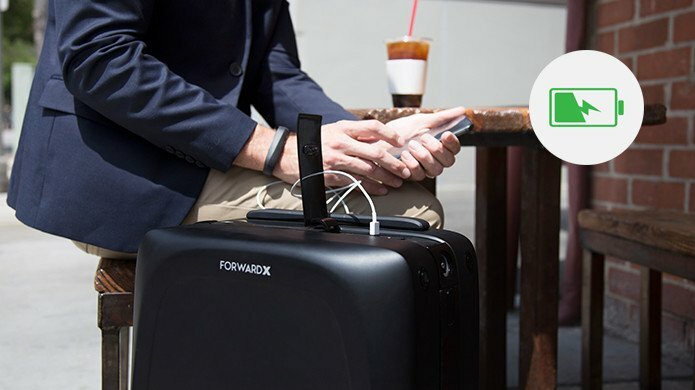 Equipped with GPS and 3G technology, and presented as an individual, cut-resistant, modularized luggage tag, the location tracker of Ovis provides you with real-time monitoring and tracking of your belongings – anytime & anywhere. The Ovis comes with an App through which you can check the luggage weight, track your Ovis, monitor your Ovis’ battery life.